The information given on the website regarding the project details is purely conceptual and is not a legal offering. Further, the Firm/Architects reserve the right to add/delete any details/specifications/elevations mentioned, if so warranted by the circumstances. Some of the images/pictures used on the website www.ashianagreens.in might be Copyright protected. In case, anybody is having any objection in this regard may kindly contact/intimate us so that we can delete/ eliminate the objectionable pictures from the website within a reasonable time. Any access and use of this site is and will be at the risk of the User. Neither The Green Triveni Developer nor its Partners / employees shall be liable in any manner whatsoever for any direct, indirect or consequential damages arising out of the access, use or inability to use this site. Any reproduction, retransmission or other use of any information proprietary or otherwise on this site is strictly prohibited and may infringe The Green Triveni Developer copyrights or trademarks. Any unprotected e-mail communication over the Internet is, as with communication via any other medium (for example, mobile phones, post office mail), not confidential and is subject to possible interception or loss, and is also subject to possible alteration. 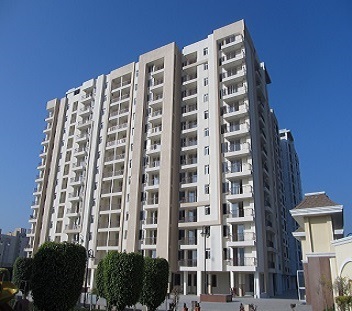 The Green Triveni Developer is not responsible for and will not be liable to you or anyone else for any damages in connection with an e-mail sent by you to The Green Triveni Developer or an e-mail sent by The Green Triveni Developer to you at your request or on an ad-hoc basis. Some personal information including addresses, phone numbers, e-mail addresses, and other demographic information is collected through enquiry forms. The Green TriveniDeveloper takes precautions to protect your individual / personal information from unauthorized use and makes internal use of your contact information only to inform you of projects and services that may interest you. When you voluntarily send us electronic mail, we will keep a record of this information so that we can respond to you. However, we do not disclose your information to other public bodies or individuals except as authorized by law.